Drone owners looking for a way to easily plan their drones flight path before take-off, may be interseted in TELAERO a new software app that has been specifically designed to help create paths for image driven drone flight. TELAERO drone flight planner software allows users to create the perfect shot before the drone even takes off using a 3D environment, watch the video below to learn more about this new software that is looking for funding from the Kickstarter crowdfunding website. “With a drone, you can capture stunning aerial views like never before. However, clunky, 2D flight-planning software lacks a realistic landscape of objects and obstacles, making refined flight planning, and photo capturing, challenging and time consuming. 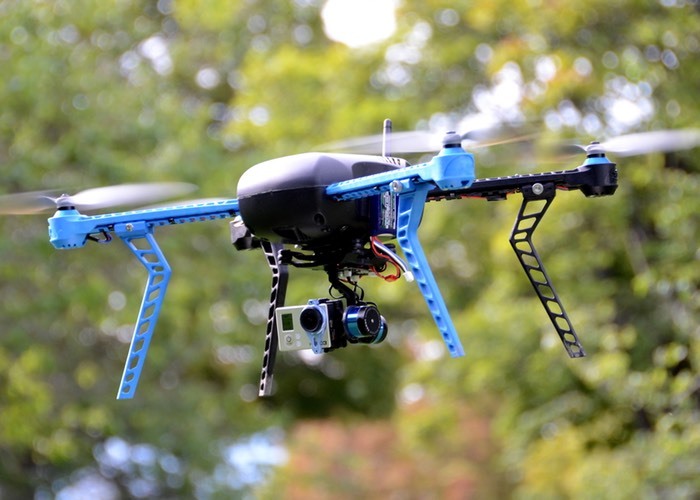 “TELAERO offers proprietary 3D flight planning view and camera-view, empowering photographers and videographers to preview their imagery before takeoff and capture the “money shot” with speed and ease. TELAERO removes the guesswork of flight planning by allowing a novice with little to no piloting skills to script and preview an entire flight, including planning photos, from a computer—before the drone ever leaves the ground. TELAERO’s increased precision empowers flight planners to incorporate sophisticated maneuvers like swoops, helices, and close-ups around points of interest like never before. For more information on the new TELAERO Drone Flight Planner jump over to the Kickstarter website for details via the link below and make a pledge from $20 to be one of the very first to own one and test it during the beta development stage.